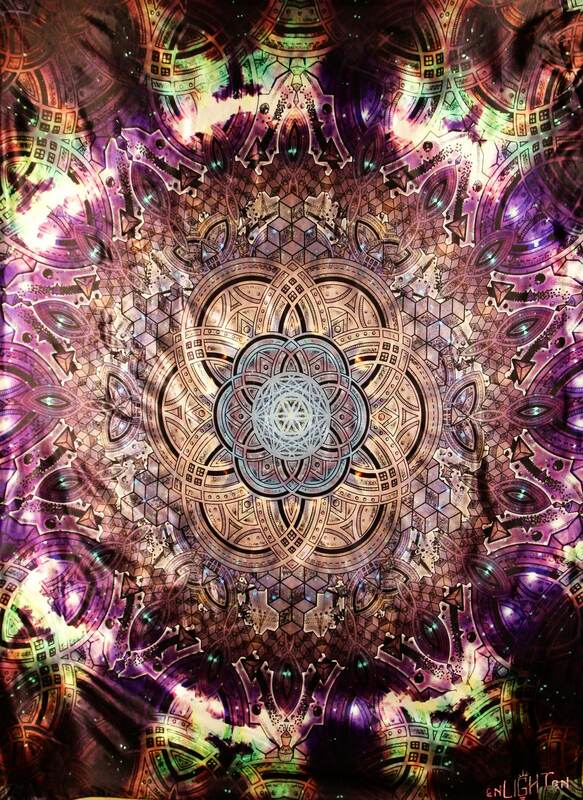 This design has quickly become one of our all-time favorites, Illustrated by Visionary artist Glen L. Thomson this pieces complex design will draw you in and hold you there for hours! 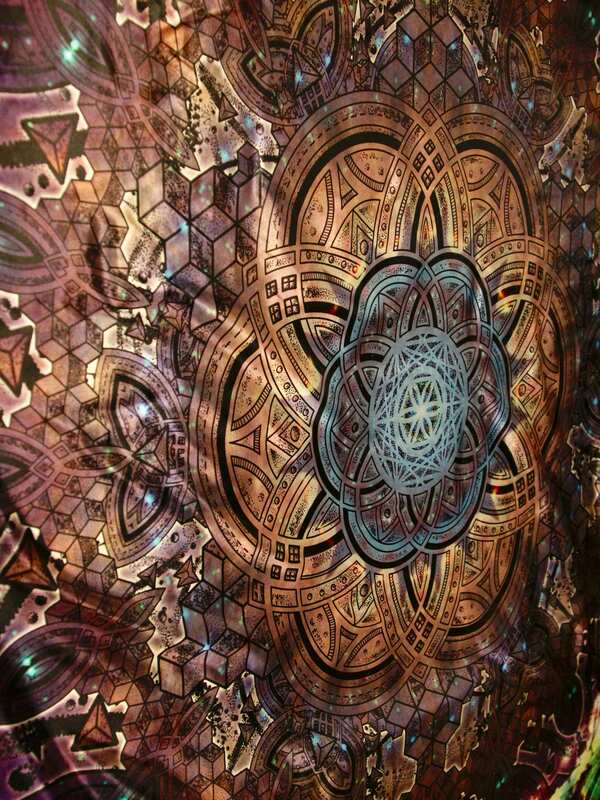 Sublimated onto 100% Poly Satin, these beautiful tapestries are sure to impress. 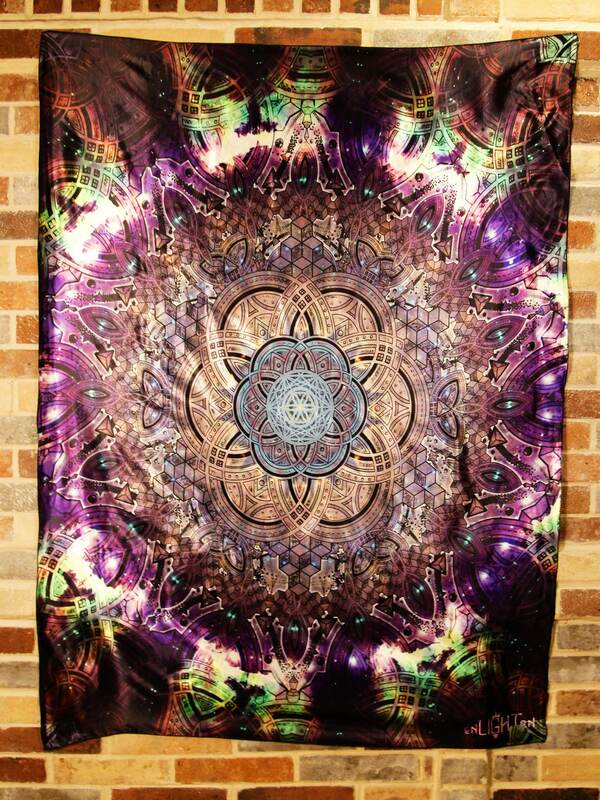 Tapestries are 54inx54in and our bandana size is 29inx29in.